If you wanna play with mix of prints, just choose the main color. In this case, it's my beloved blue, blue, in different shades, that plays the key part. Different textures also play an important role: lurex fabric, velvet, a textured maxi skirt and the dauphine leather of my Dolce & Gabbana bag are all different, but together they convey into something that - at least for me -.works very much and I feel mine. This Fall/Winter collection from 1.2.3 Paris made me fall in love (from the same brand, you also saw the lipstick print blazer in a previous post) and you can find many interesting pieces on 1.2.3 Paris website, where shopping is easy and fun and you get free shipping over € 120! You can also follow 1.2.3 Paris on Facebook, on Twitter and on Instagram to be updated on the latest news. How do you like to wear stripes? Se volete giocare con mix di stampe, scegliete il colore principale. In questo caso, è il mio adorato blu, in differenti tonalità, che ha la posizione chiave. 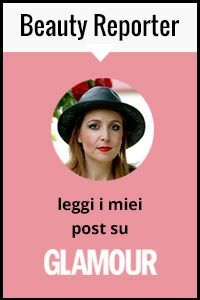 Diverse consistenze giocano un ruolo altrettanto importante: tessuto lurex, velluto, una maxi gonna strutturata e la pelle dauphine della mia borsa Dolce & Gabbana sono tutti elementi diversi ma insieme diventano un qualcosa che - almeno per me - funziona alla grande e sento molto mio. La collezione autunno/inverno di 1.2.3 Paris mi ha fatta innamorate (dello stesso brand vi avevo già mostrato il blazer con i rossetti in un post precedente) e potete trovare tanti capi interessanti sul sito 1.2.3 Paris, dove fare shopping è facile e divertente e le spese di spedizione sono gratuite sopra € 120!. Potete anche seguire 1.2.3 Paris su Facebook, su Twitter e su Instagram per restare aggiornati. Voi come preferite indossare le righe? This is the perfect exemple of mix and match. It looks amazing! Love this combination! It is so bold. Hope you have a great weekend! What a fantastic look! Creative and stylish, I really love the mixed prints! Bellissimo outfit in blu... gli stivaletti sono un'opera d'arte!!! love love the mix of prints!! Abbinamento assolutamente originale e davvero ben riuscito... poi per la borsa occhi a cuoreee!! Oddio ma come fai a trovare sempre delle scarpe meravigliose! Adoro i tuoi Boots! No, ma io voglio i tuoi stivali......sono favolosi!!! !